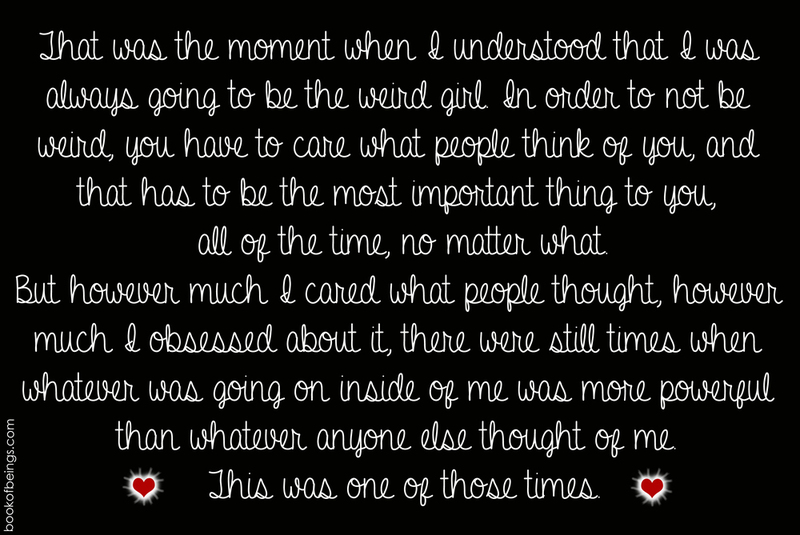 That was the moment when I understood that I was always going to be the weird girl. In order to not be weird, you have to care what other people think of you, and that has to be the most important thing to you, all of the time, no matter what. But however much I cared what people thought, however much I obsessed about it, there were still times when whatever was going on inside of me was more powerful than whatever anyone else thought of me.